Don't take our word for it, read our reviews! Whether you’re building a new home or business and need wiring installed, or you’re experiencing shorts and electrical problems, Rankin Electric is prepared to help. Our experienced electrical contractors provide a wide variety of services to residential and commercial customers in Bakersfield, CA. Electrical wiring is a crucial component of your home or business. If it isn’t installed correctly or is shorting out, it can not only make your building less comfortable, it can pose safety hazards to its inhabitants. Attempting to install or troubleshoot these electrical systems on your own is dangerous, so it’s best to leave it to the professionals. At Rankin Electric, our team of trained and licensed professional electricians in Bakersfield, CA are well-equipped to handle almost any electrical issue you may be experiencing. 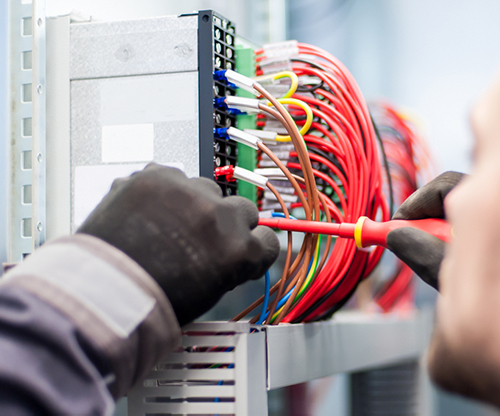 From new construction wiring, rewiring and commercial tenant improvements to appliance, lighting and outlet installation, we are sure to provide you with top-quality services and professionalism. 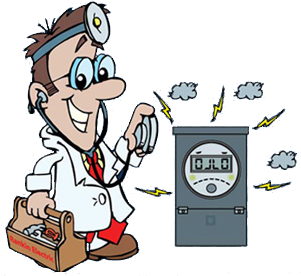 We also troubleshoot electrical problems and provide repairs for when things just aren’t working how they’re supposed to. Our customers return to us again and again because of our superior level of customer service. We hire only the best in the field to ensure you receive a high-quality job every time. And, we offer our services at competitive prices, so your installation or repair won’t have to break the bank. Here are a few more reasons to turn to us for all your electrical installation, troubleshooting and repair needs. Our locally-owned and -operated business has served customers since 1982. That means we’ve been the area’s go-to electrician for over 35 years! We offer a full gamut of electrical services for both residential and commercial customers. If you have an electrical problem, we can fix it. All of our electrical contractors in Bakersfield, CA are highly trained in their fields. Rest assured that our installation and repair work is top-notch. Our company is fully licensed, bonded and insured for your safety. you can rely on our experienced electrical contractors in Bakersfield, CA. Call us today!